Hello! Happy Sunday! 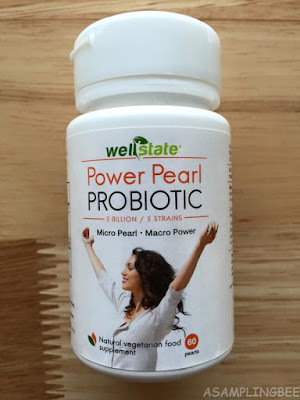 Today, I share with you Wellstate's Power Pearl Probiotic! Micro Pearl. Macro Pearl. Sixty pearls per bottle. Read my review below to find out more. Power Pearl Probiotic is specially designed to encourage the microenvironment your gut needs to absorb nutrients so you can enjoy life. 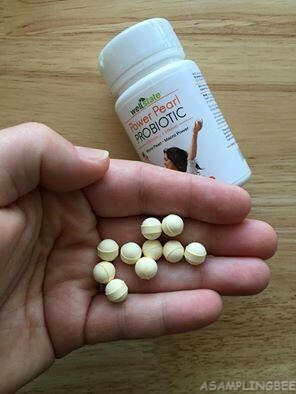 Power Pearl Probiotics keeps your tummy healthy and active. When your gut flora is healthy, your immune system can do what it's designed to do. When your gut is happy, your metabolism will be, too! Power Pearl Probiotic works gently. Each pearl's power is released gradually so you won't have to deal with bloating, diarrhea or gas that can occur with other probiotic products. They are vegetarian and contain ZERO sugar, preservatives, GMO, nuts, wheat, gluten, lactose, chemicals, yeast, soy, iron, artificial colors. Taking these really help my metabolism. After having kids, my tummy always feels irregular. After taking these probiotics, my tummy feels much better. I feel less bloated. I feel so much better just knowing that my tummy is working better and properly. I recommend this probiotic. They are safe for everyone in the family. The pills are easy to take because of their pearl shape. They do not have a funny taste or aftertaste. There is no smell to them. When taken on an empty stomach, they did not bother me. *The cap is not child proof so please keep this bottle, as well as any other medications, out of children's reach. The Enzymatic Therapy manufacturers claim that the pearl encapsulation that safeguards active bacteria gives the product on-shelf protection for at least 18 months.